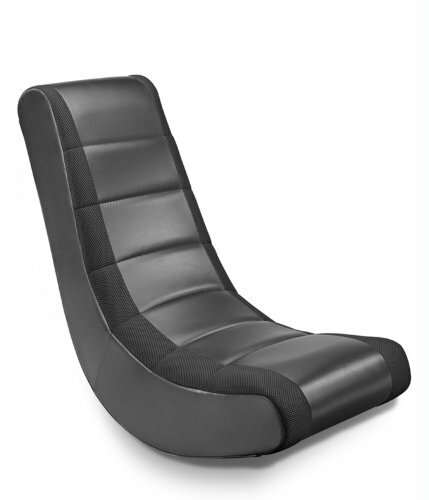 Dansitwell pays more attention to the quality and performance of the gaming chair. The price we set is absolutely worth the money. 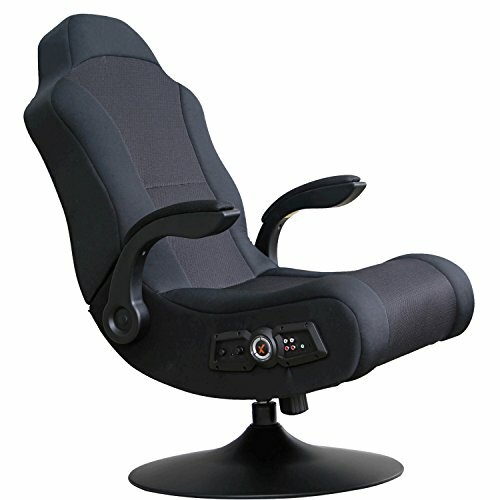 In terms of quality, I believe that it can accompany you for a longer time than the general gaming chair, make you more satisfied. 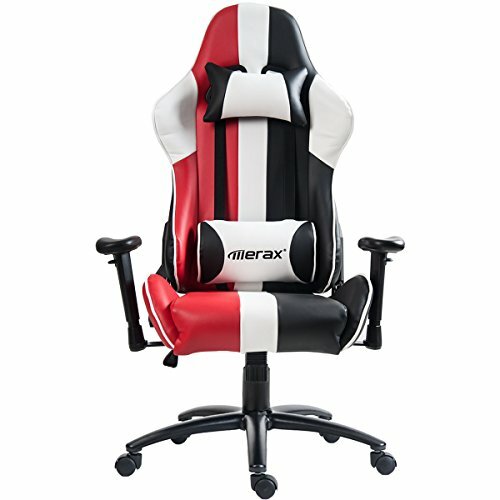 It will be your best partner in game, office and rest. Be sure to install the product according to the instruction. Some screws have been installed on the chairs. Please check them carefully. If you have some damaged or missing parts, please contact the seller in time, we will replace the parts for you free of charge. 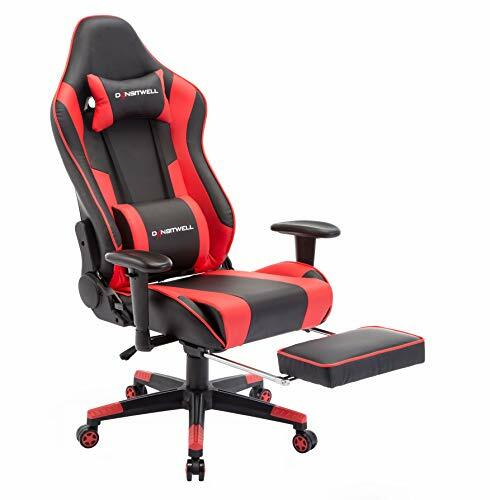 SUPER COMFORT : Ergonomic body-hugging high back, removable headrest pillow and lumbar cushion, larger-size seat cushion makes it an ideal seat of choice for gaming, working and studying. 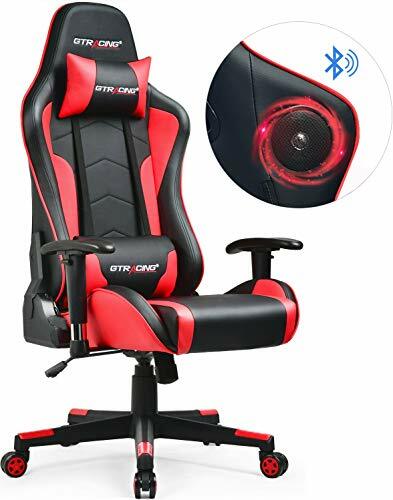 GOOD QUALITY MATERIAL : Premium PU leather(skin-friendly and clean easily), high-density thicker sponge(high resilience and more comfortable), Mute PU wheel(protect the wooden floors from being scratched). HIGH SECURITY : Explosion-proof gas spring of international standards, metal frame make a superb stable structure, heavy duty chair base with castors make a superb stable structure. (Maximum capacity : 400 LBS). 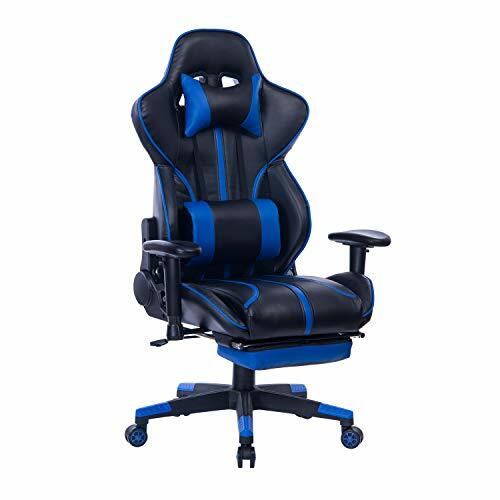 MULTIFUNCTION : 90-180 Degree Adjustable Backrest, Vertical Adjustable Armrests, 360 degree swivel, Adjustable seat-height, all to give you more freedom to play game carefree. 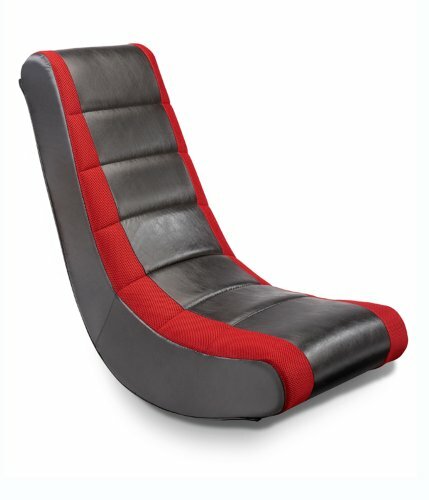 EXCELLENT AFTER SALES SERVICE : Free replacement or money back for any reason within 30 days. Free replacement for damaged or defective parts within 12 months. 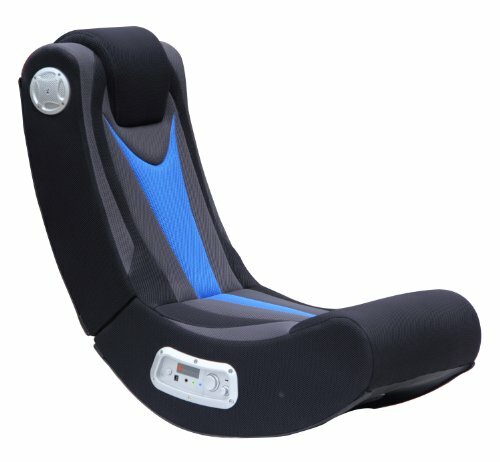 Any dissatisfaction with our products or service, please contact us to solve.